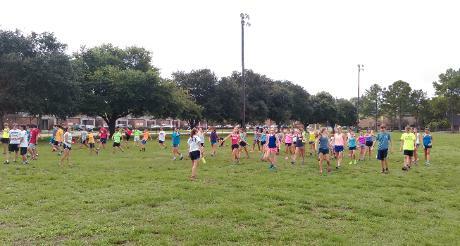 were training entire soccer and cross country teams from other schools. ago to 75 athletes in 2018.
some campers who just want to belong to a fun group in the summer. area Catholic high schools. Prior to that, he held executive positions in banking and state/local government. distance champions and 11 state champion runner-ups. He has also coached dozens of All-State and All-Metro athletes. He has a wife and 2 young adult children who also run and play soccer. The camp is owned by an LLC and is fully insured.